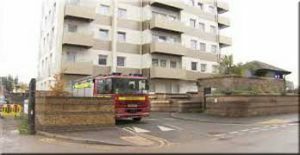 Slough council may take over Nova House from ground speculator Robert Steinhouse, but it is an open question whether it will pay to remove the Grenfell cladding. Communities Secretary Sajid Javid optimistically believed that freehold owners would pay up – in law, the building and land is their’s – but that was never very likely. … Continue reading Ground rent speculator Robert Steinhouse cuts and runs from Nova House, but who pays £4m Grenfell bill?